Discussion in 'Site Discussion' started by Egan, Jan 27, 2014. Post in this thread if you want a video added to the youtube channel, or if you have ideas for other maps that could be added. Hey, so we'd like to start making some TF2maps.net videos for our youtube channel, and Prestige and I thought a series of event-montages (like what NISLT does) would be pretty cool for that. So the idea is that if you, while playing on our servers, witness something humourous or amazing, that you try to remember what it was, and when it happened, and then you'd post that information into this thread. So then, what we over here do is find the associated STV demo, record the moment from two angles (1st and 3rd), and then edit the footage into the then-current compilation video. Prestige and I can take care of the recording, editing and processing, but we will need your help to fill the content of the videos. We're hoping to release a video once a month, but that of course all depends on the amount of content we get. To get this thing started, here's a quick example video I made. When it happened. (Be as accurate as you can. you can also submit the demo it belongs to yourself to save us time, but please also put approximately when it would show up. If the event was beyond a month ago, then we won't have the demos). And if you've got any showcase/flythroughs/timelapses you want to show off, don't forget to let us know, and we'll add them to the playlists as well! Would you add other videos like my strata timelapses or my flythoughs? I should grab that time on koth\arena berry where i thought i'd thrown that soldier into the pit. I can provide you with some music if you want! On a test of arena_polarbeam, i airblasted a soldier off a cliff and taunted: it wasn't a cliff. He killed me. I think it was near the end of the testing? IDK. These two videos from my entry to the 72hr contest might be something you'd want for it? Can we make a requirement that all videos must include Alex76 getting fragged in new and hilarious ways? I like the sounds of this idea, it could be perfect to help promote and further spread the word of custom maps the TF2Maps community! Especially for server owners who want to host custom maps and for players who haven't heard of TF2M and want to get an idea of what the community is like and what kind of maps we create. Having had a YouTube channel for more than 4 years now that's become relatively popular, I think I could definitely help you with some general tips & tricks of running a decent YouTube channel and making entertaining videos. Since I have some video editing experience (currently using Adobe Premiere Pro CS6), I could possibly help you with that too if I have some free time. 1. Please don't make the videos too much like NISLT's, not just because he's already doing it but also because it really doesn't make too much sense for showcasing maps since it's generally a pretty silly concept, especially the added voice lines. The idea of having compilations of cool/funny clips on certain maps seems like it could be really good, but I personally didn't like the way the test video was edited and I think it could be much better if the clip was shorter, snappier (more action) and again: without the silly added voice lines . I understand that it's just a simple example video though and that a "real" video would probably be better edited, I'm just using it as a reference. 2. Gameplay videos become much more attractive to watch if they are recorded at high/maximum graphics settings, the example video had the graphics low enough that I immediately noticed it, and when it's like that I honestly don't feel like I'm watching a serious YouTube channel. I hope this will be considered for the actual videos. If your computers can't handle it, you should preferably get someone with better hardware to record the videos for you. 3. I'm not sure whether you should focus more on emphasizing in-game sounds or the background music, but I feel like having music with low in-game sounds for most of the time and then having louder in-game sounds if someone says something or if something cool happens could work the best to give a different, less boring feeling. (And obviously not using the generic TF2 theme, it wouldn't fit at all in that case.) You'll have to play around with that, I don't know exactly what feeling you're going for. 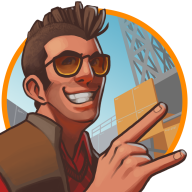 Anyway, I trust you and prestige will do a great job on this and hopefully it could make TF2Maps get more noticed by the TF2 community! You can ask me on steam if you want to discuss anything about the videos, I'd love to be part of it. Good luck, and I hope I've been helpful! I already offered to do some flythrough videos in the chat last night, so that still stands. I think a good idea for the channel would be to upload some actual tutorial videos. I know there are a few Hammer tutorials out there, but ones that focus solely on Team Fortress 2 might be nice. Just a thought. I would also be down for doing tutorials but feel that we shouldn't do the cliché with what we do as in How to start a map, as there are hundreds of them. I was thinking more of detailing and advance game play ideas etc, stuff that hasn't been done and is new. Yeah, I see what you mean now, the example video was missing a direction and just having the tf2 theme and action sounds was a bit dry to watch, but I'll try the action-y music + quick shots. I know you say to not make it like NISLT's videos, but this one of his was like that and was pretty dang entertaining to watch, so. I can make a tutorial of how to stack containers and crates like a professional. Tutorials on advanced stuff would be super good (Booj maybe explaining some ent setups? ), nothing of the simple stuff since we have plenty of videos on Youtube that already do that. Also, for someone with a high-end computer, do some flythroughs and showcase the maps in the Map Showcase forum with maximum settings (perhaps in SFM?) into 1080p/2K/4K. This gives a good place for server owners to quickly look over a flythrough of a map and see if it'd be good to put on their servers. This sounds like a great idea IMO. I saw a funny piece yesterday after everyone but about 6 left the imp/72h test. After a few maps we swapped up to arena_berry_72 where at the end was a guy with crappy internet and me left. He was stood still on a platform as a heavy, when I went over to tauntkill him with the Atomizer; just before the swing the platform disappears, letting both of us fall to our death. Laughs are heard through microphones. To add to this, please don't just fly through the empty maps, load up a Source TV demo of the map so it can show what it plays like kinda too. ok, not sure if its said yes, download P-REC, its software that will automatically demo record everything you do on tf2, you can then do prec_bookmark to save where it is in the demo, you can then go back and watch it and switch to maximum graphics settings to get nice looking videos.